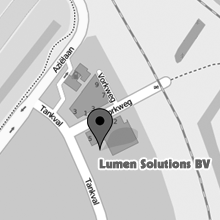 Lumen Solutions BV, located at Tankval 5, 2408 ZC in Alphen aan den Rijn in the Netherlands is responsible for the processing of personal data as shown in this privacy statement. 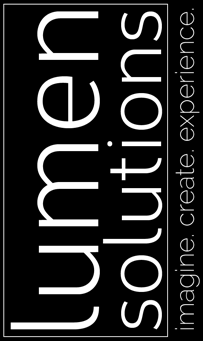 Lumen Solutions processes your personal data by using our services and / or by providing this information to us. Our website and / or service does not intend to collect information about website visitors who are younger than 16 years, unless they have permission from parents or guardians. However, we can not check if a visitor is older than 16. We encourage parents to be involved in the online activities of their children, in order to prevent data about children being collected without parental consent. If you are convinced that we have collected personal information about a minor without this permission, please contact us via info@controllux.nl, we will delete this information. Lumen Solutions does not take decisions based on automated processing on matters that can have (significant) consequences for people. These are decisions that are taken by computer programs or systems, without a person (for example an employee of Lumen Solutions) involved. Lumen Solutions does not store your personal data longer than is strictly necessary to achieve the purposes for which your data is collected. Lumen Solutions will not sell your information to third parties and will only provide this information if this is necessary for the execution of our agreement with you or to comply with a legal obligation. With companies that process your data in our assignment, we conclude a processor agreement to ensure the same level of security and confidentiality of your data. Lumen Solutions remains responsible for these processing operations. Lumen Solutions only uses technical, functional cookies and analytical cookies that do not infringe your privacy. A cookie is a small text file that is stored on your computer, tablet or smartphone when you first visit this website. The cookies we use are necessary for the technical operation of the website and your ease of use. They ensure that the website works properly and remember, for example, your preferences. We can also optimize our website with this. You can opt-out of cookies by setting up your internet browser that it does not store cookies anymore. In addition, you can also delete all information previously saved via the settings of your browser. You have the right to view, correct or delete your personal data. In addition, you have the right to withdraw your consent to the data processing or to object to the processing of your personal data by Lumen Solutions and you have the right of data portability. This means that you can submit a request to us to send the personal data we hold in a computer file to you or another organization mentioned by you. You can send a request for inspection, correction, deletion, data transfer of your personal data or request for cancellation of your consent or objection to the processing of your personal data to info@lumensolutions.nl. To ensure that the request for access has been made by you, we ask you to send a copy of your ID with the request. Make your passport photo, MRZ (machine readable zone, the strip with numbers at the bottom of the passport), passport number and citizen service number (BSN) black in this copy. This to protect your privacy. We respond as quickly as possible, but always within four weeks, at your request. Controllux also wishes to point out that you have the opportunity to file a complaint with the national supervisory authority, the Dutch Data Protection Authority. This is possible via this link.